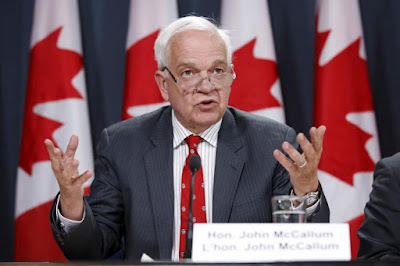 The Canadian government is ready to introduce changes to the current immigration system, Minister of Immigration, Refugees and Citizenship, John McCallum, announced Wednesday while visiting Peel region. McCallum’s visit to Peel was part of the government’s nationwide consultation process to bring essential changes to the immigration policy that was promised by the Liberal Party during the 2015 election campaign. In Brampton and Mississauga, the minister met local members of parliament and stakeholders and discussed issues related to immigration. Top of the agenda was speeding up the process of family class immigration. McCallum said the Liberal government inherited a system that is presently creating concerns within the community and his team is working to streamline it by introducing a new and improved policy. The new system – with changes to family and skilled class, economic category as well as visitors’ visa policy – is expected to be introduced in the coming fall season. “We want to streamline the admission of economic immigrants as well as refugees and family class. We are going to make it much easier for international students to become permanent residents”, said the Markham-Thornhill MP. In competition with other countries like Australia, the United Kingdom and the United States, he said the government is currently working to give international students more points and make it easier for them to come to Canada. “International students are at the top of the government’s list to become permanent residents because they are young, educated, and fluent in English or French”, said McCallum. “Soon, we will have a much quicker entry process”. This is great news for many of our supporters who are separated from family and loved ones due to Canada’s current immigration system. At present, sponsoring a spouse to come to Canada takes 14 months if sponsored from the United Kingdom and 11 months if sponsored from Australia and New Zealand. By improving Canada’s current sponsorship and family immigration program, citizens of the UK, Australia and New Zealand can be reunited with spouses in Canada much quicker than the current system allows. At present, sources indicate that the Trudeau administration is looking to cut the average processing times for spousal applications to 6 months. As Canada is a popular destination for many spouses, we expect the current backlog of applications to be completed by December 2016, with the new 6 month average processing times taking effect from January 2017. As many of our supporters favour freedom of movement between the UK, Canada, Australia and New Zealand because of the difficulties associated with spousal sponsorship, this is excellent news for those wishing to emigrate to Canada under a family sponsorship visa.